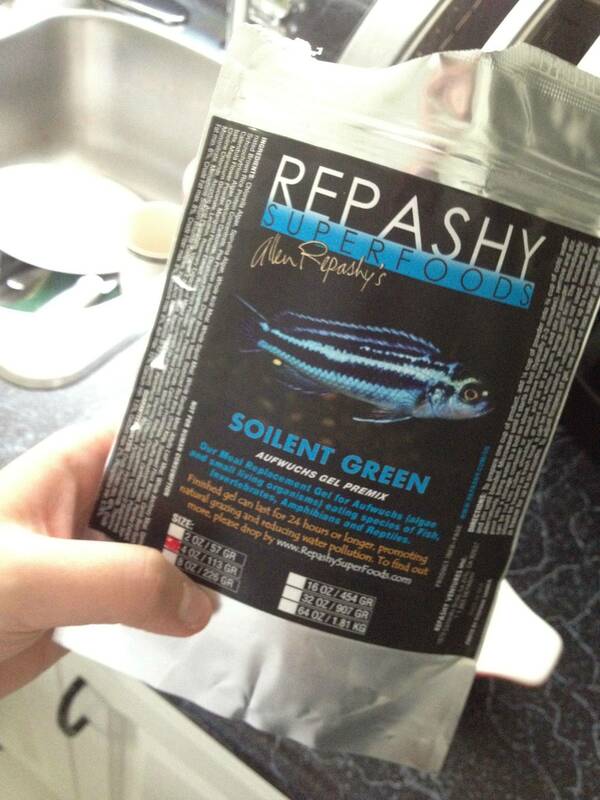 It’s been about a week since I last updated this blog, and not more than three days since my order of Repashy soilent green was shipped to me from CanadaPleco but it’s here! I was really surprised to find it in the mailbox already, especially since it was shipped via snail mail at the lowest rate possible. I’ve been really excited to try this product because there’s been some serious buzz about it on the forum and now it’s my turn to give a small review. I’ll start off with a list of pros and cons about this. You wont need to worry about cooking gel food any longer and worrying about your fish getting it’s nutritional requirements. This product is premixed to meet those requirements. It seriously takes you two minutes to prepare it. And approximately three hours to chill, but it does congeal rather quickly and well for a product that doesn’t use gelatine. A tupperware container doesn’t take up too much space in the fridge or the freezer, and the size of the bag of premixed powder lays flat making it space efficient and out of the way in your kitchen. For freshness sake, I really like resealable bags and containers and Soilent Green has taken advantage of this too. Also for the fact that I’m clumsy, I know that if I knock this bag over it wont pour all over the floor (as long as I keep it sealed). 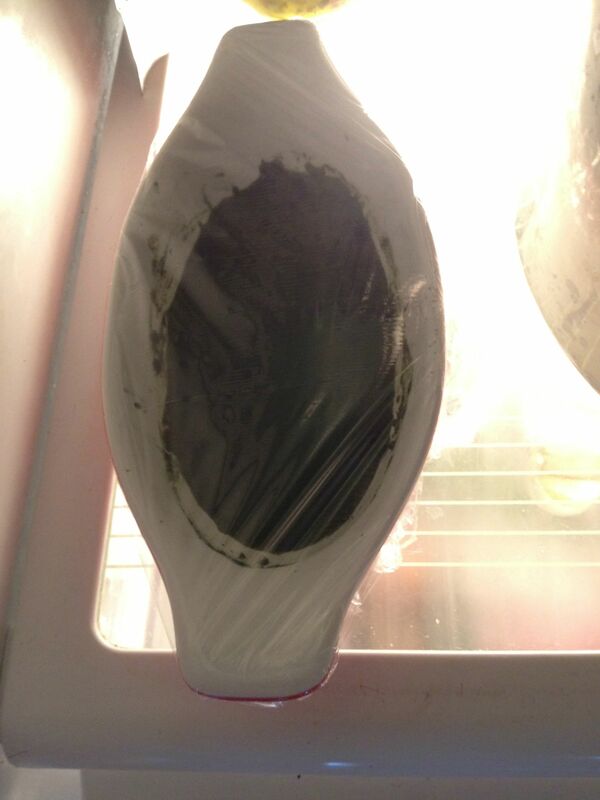 Keeping your gel food frozen, it can be stored for up to two years!! 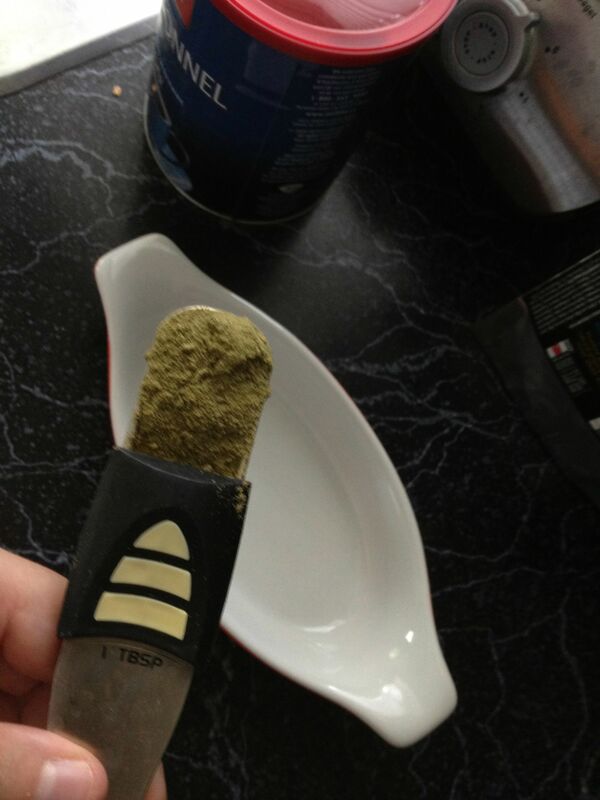 The uncooked powder as long as it’s chilled can last a year on it’s own before it expires as well! We all worry about the food we feed our fish making him gassy. Mango has always had a problem with gas and air gulping. This food doesn’t aggravate this problem! It doesn’t use animal products like animal hooves found in gelatine. This is a relief because if I can help it, I would rather not feed Mango something that he wouldn’t be able to eat in his natural environment. I feel that this is very important for his well being. • It stinks something fierce!!!!!!! My first impressions on the product honestly had to do with the smell. I’m not going to sugar coat it, but it smells horrible. Not only does it smell horrible but the smell is hard to remove from the kitchen. Putting the smell aside though, if you can stomach it, there are so many benefits to feeding your fish this product that the small con can actually be overlooked. 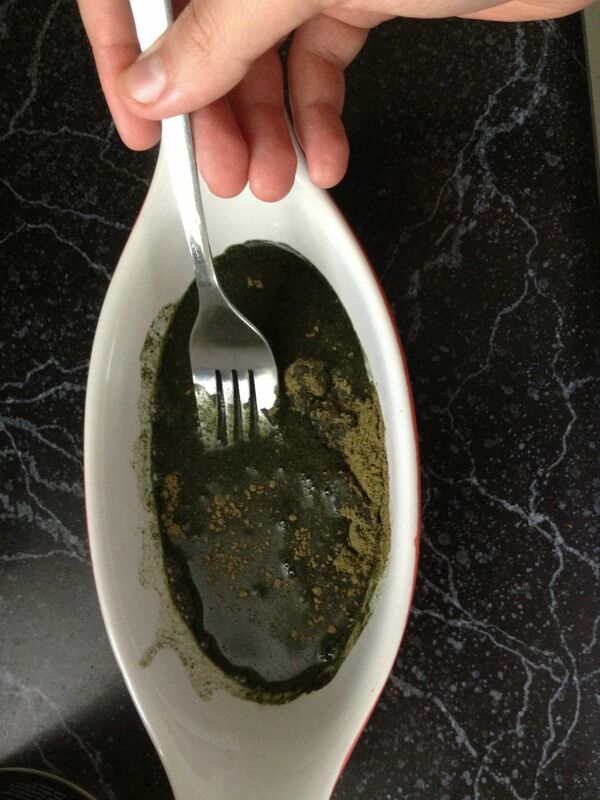 add one tablespoon of Soilent Green powder into a microwavable bowl. add three tablespoons of filtered or spring water to the bowl. 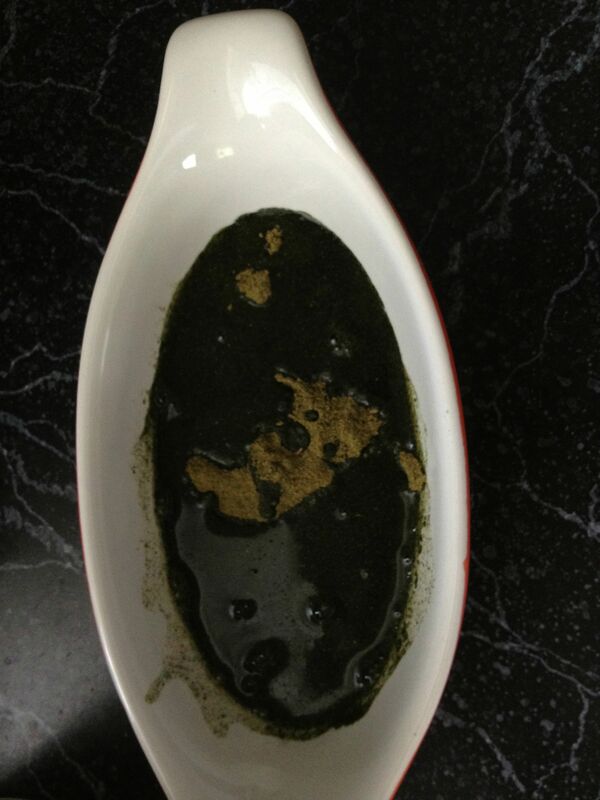 place it in the microwave and heat it until the mixture boils & mix well. 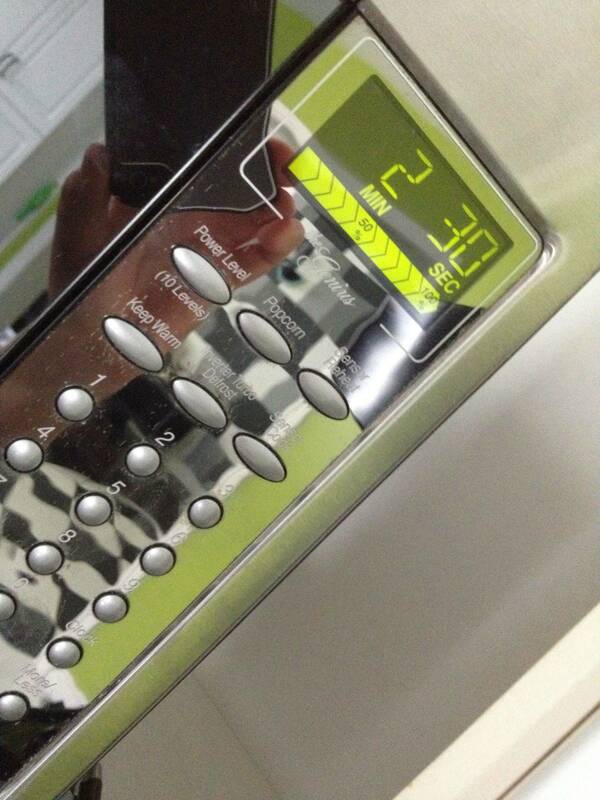 chill it for 3 hours. from here you honestly just have to cut it into pieces and serve or store. You can store the powder for a year chilled or two years frozen so it’ll last you a long time and the package is resealable! I can’t stress enough how great this product truly is. But don’t take my word for it, take Mango’s.